LNL MiniFarm started in 1994 when we bought our first mini horse from Checkmate Farms in Dalton Ga. They really are like Lays chips, you can't have just one. Sadly, we have sold all of our horses. In 2008 with economic uncertainty and concern about the safety of our food supply and what it contains increasing, we decided to broaden the scope of our farm to include a variety of miniature livestock. 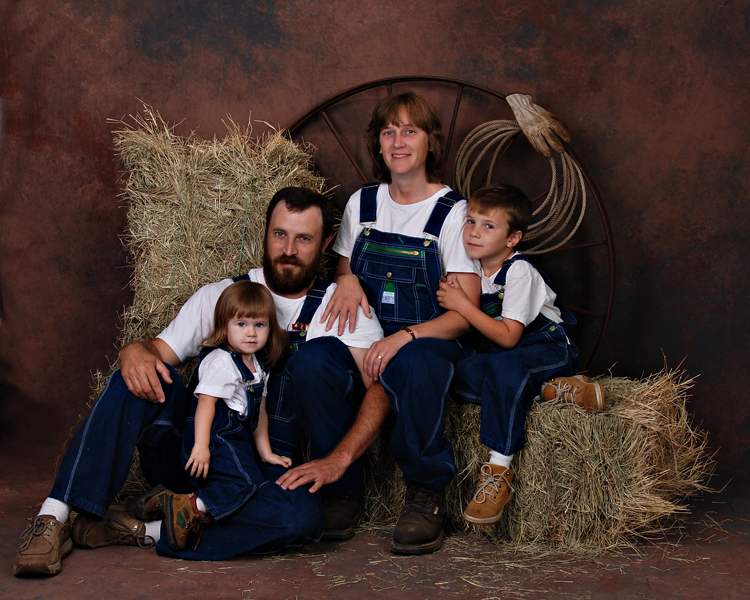 We added Nigerian Dwarf Goats, Babydoll Southdown Sheep, crossbred miniature beef cattle, American Guinea Hogs, a KuneKune boar and bantam poultry to our homestead. In early 2013 we purchased a purebred Miniature Jersey bull and a group of zebu cows and heifers to breed to him. Like the miniature horses, these smaller animals have their advantages. They require less land, lighter duty equipment and fences with lower inputs. Also due to their size, they are a great place to start for first time farmers that may be intimidated by larger stock. They also work well with sustainable farming practices. We are raising these for home consumption and to sell to other like minded small and beginning farmers. We have been very pleased with the eggs, beef, milk, lamb, goat, pork, chicken and fish that we have produced so far. Please look around. See if there is anything that interests you, and let us know if we can assist you in anyway. Josey and Jessie help with many of the chores around the farm. 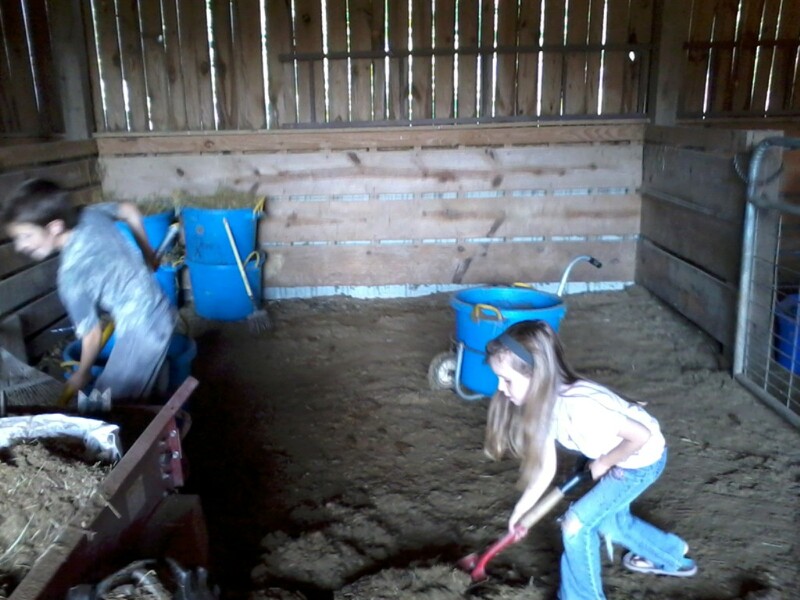 Here they are helping to clean the barn and load the spreader. We usually add a little of the pelletized lime and spread it on the pastures. 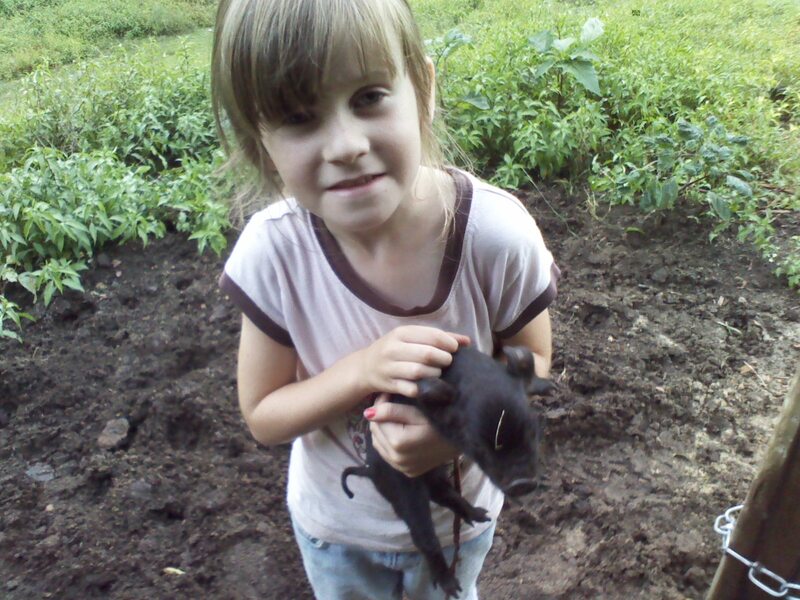 Jessie holding a new born piglet. She likes the babies. Josey holding new ram lambs. 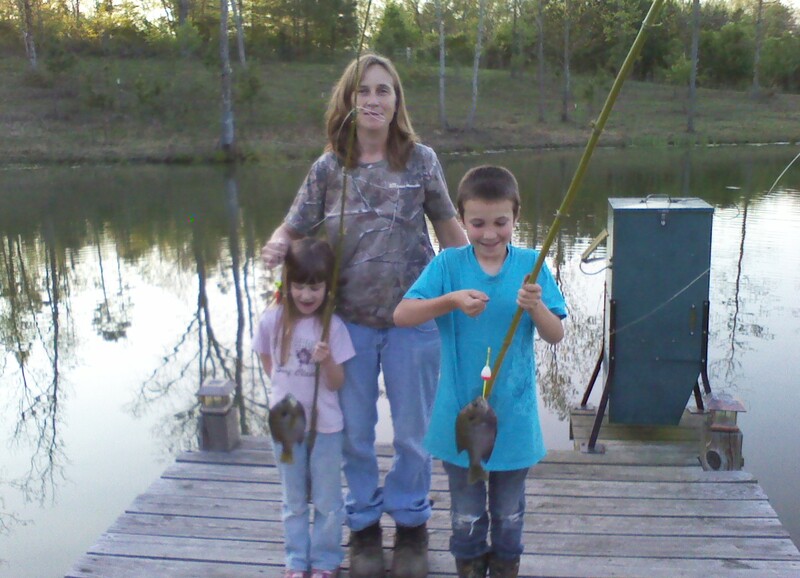 Josey and Jessie with nice bluegill caught in our pond.